← The Saladin Strategy: My favorite book so far this year! 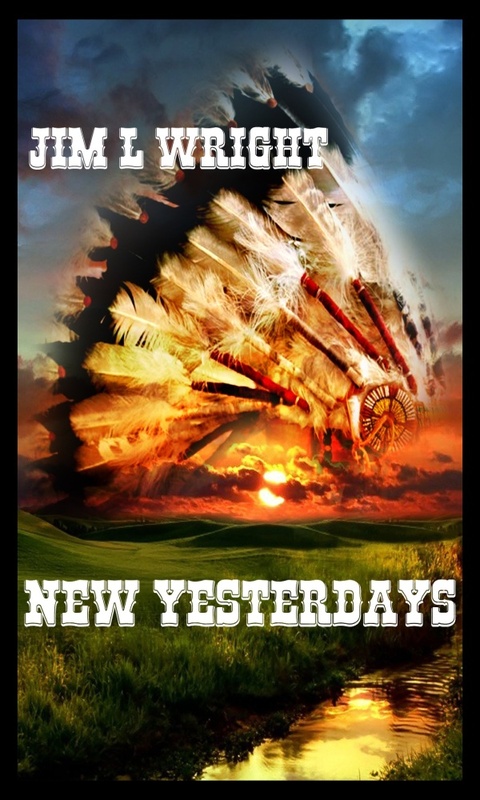 Work on Changed Tomorrows, the sequel to New Yesterdays is coming along satisfactorily after a rather long hiatus. To whet your appetite for continuing the tale, I offer this little excerpt. I hope you’ll enjoy it. If you do, please leave a comment to let me know. Bear in mind though, this is a first draft and will almost certainly improve with a bit of editing! The leaves on the massive oak trees hung motionless. Only the incessant buzz of the insects fractured the silence. Jim lay on the cool damp ground next to the spring, staring at the hard blue patches of sky revealed between the rough, twisted branches. His flushed face was moist and his eyelashes were sticky with drying tears. He and Dustu had argued earlier about something inconsequential. His feet created tiny dust clouds as he stomped away. As always, when he was down, he went to the spring to remember how things used to be before he’d found that damned portal. He missed his brothers and sister. He wanted to feel the cool soft touch of his mother and hear her voice telling him everything was going to be alright. But, it wasn’t alright. It would never be alright again, and he had only himself to blame. 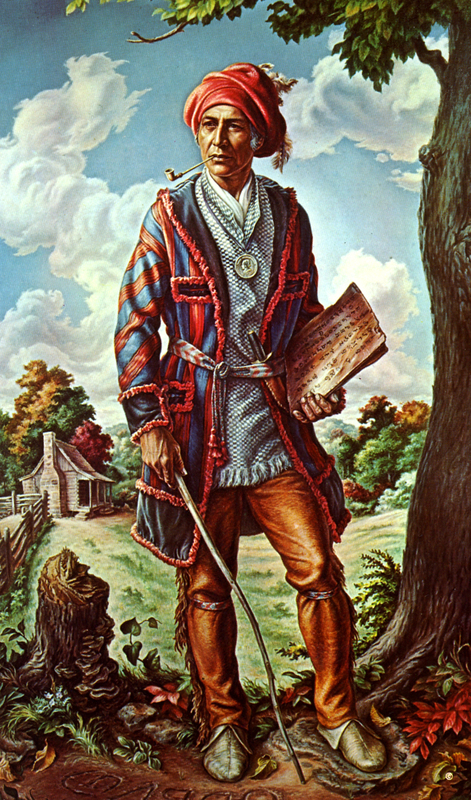 Two years had passed since he found himself living with the Cherokee a hundred years in the past. Two years had passed since he looked in his mother’s clear blue eyes and felt safe and secure. He knew in his heart that he’d never see them again and on days like today it was nearly more than he could bear. He listened to the sound of the water flowing over the smooth stones, and imagined that he was home. Suddenly, the forest seemed to tremble and took on a shimmery appearance. Jim’s first thought was “earthquake!”. Just as quickly, he realized the earth wasn’t moving. As quickly as it started, it stopped. His surroundings seemed subtly altered, but he couldn’t quite put his finger on what was different. Then he noticed that he wasn’t alone, and moved his head to listen more closely. Then he saw it. Just behind him he could see the house, and his brothers playing in the yard. He could hear the sound of their voices. A dump truck rumbled down the hill, loaded with the white chert used to build and repair the old dirt, back country roads and he could hear the drone of an airplane passing overhead. Mother was in the house reading a magazine as she cooked their supper. Dad, not long home from his job at the foundry, was resting on his bed and reading a Louis L’Amour western paperback waiting for Mother to call out “Supper’s ready, y’all come and eat!. The soft, warm aroma of the biscuits, fresh from the oven tantalized his nose. A small smile crept across his face as he came to wakefulness. He leapt to his feet to run inside and realized, as everything came back into focus that he’d been sleeping; dreaming of home again. Unbidden, the tears began to flow again and he desperately tried to swallow the huge lump in his throat as he slumped back to the ground. He thought about the events of the past 3 years. The first time he came through the portal he’d been twelve years old. The destinies of three nations had changed in that time because of a few words spoken by a little boy. He remembered the first time he sat in front of the fire in Tooantuh’s house and recited his history lessons about the Great Removal and the Trail of Tears. He thought about the men who didn’t come home after the war with the White settlers, especially Tooantuh, the chief who looked so much like his Pawpaw. The salty tears stung his reddened eyes as he angrily brushed them away. He wanted to sit next to his Mother and hear her soft voice and tinkling laughter. He wanted to taste her biscuits. His brothers, Tony and Michael, were sorely missed. Dustu was a wonderful brother; loving and patient, but he wasn’t Tony or Michael. He didn’t share the history with Dustu that he shared with his brothers. He tried so many times to call their faces to mind and found it was becoming more and more difficult to remember exactly what they looked like. This distressed him even more because he was afraid he was forgetting them and wondered if they were forgetting him, too. He didn’t regret telling the Cherokee about the future, and indirectly helping them to avoid losing their ancestral homeland. In fact, he was rather proud because he knew that in helping them save themselves from the encroachment of the European settlers, he had helped his own ancestors, too. But, he wanted to be with his family again, or at the very least to see them one more time. He had traveled through the portal the previous spring, hoping to find them. He had spent the entire day asking around town for anyone from the McCarley or Stephens families. No one had ever heard of them. With only one day in which to look, he spent the afternoon in the library and then raced back to the portal before the sun went down. Adahy wasn’t sure just how long the portal remained open, so they had decided to assume it would close at sunset and he should get back through if he wasn’t successful in his search. Off and on, through that summer and the following winter, Jim had been in a melancholy mood. He tried desperately to remember where his family had come from. He could remember Georgia and “Carolina” but no matter how he tried he couldn’t seem to pull “North” or “South” out of this memory. At night, when the work was finished, he frequently talked to Dustu and Adahy about it as they sat in front of the fire. If the family had been able to convince the officials of their Cherokee heritage after the war, they might still be in Unalii. If not, they were in a foreign country and completely out of Jim’s reach. There wasn’t much to go on. If you haven’t read New Yesterdays yet, this is a good time to get caught up on the story. Click the link and you’ll have it quick as a wink! And, here are some of my favorite blogs you might want to follow. Check them out and pass them on! This entry was posted in Changed Tomorrows, Wright Tales and tagged Alternate history, book, Changed Tomorrows, Fiction, Southern Tales, writing, Young Adult. Bookmark the permalink. Thank you, Mother. I hoped you would like it! Such a wonderful descriptive style…moving. Well done sir. Thanks Rick, I appreciate you coming by. Come back often!